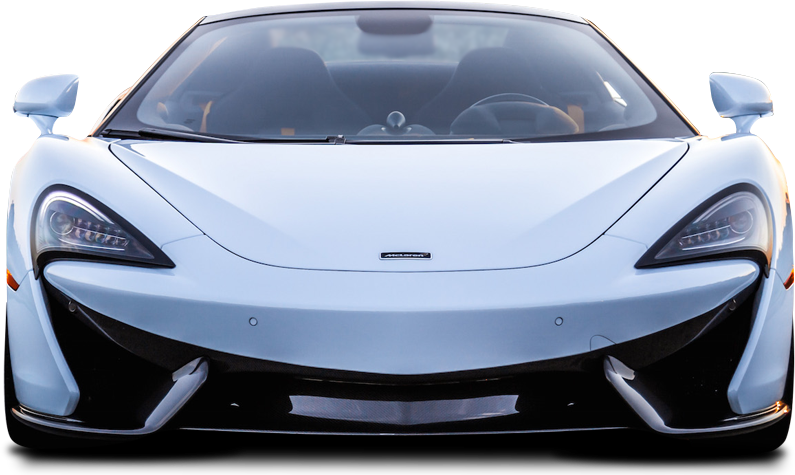 Rent a White 2018 McLaren 570S Coupe — a 2-seater Exotic Car with a 3.8L V8 engine, 562hp, and 443ft-lb of torque! ritish sports cars define driving fun. The McLaren 570S supercar continues the tradition. It's a lightweight 2-door coupe ideal for thrill seekers who crave the combined driving exhilaration of precision, poise, power, and performance.What's not to like? The 570S is offered, of course, in the famed McLaren orange — and then the sensory overload fun begins. You get to experience many new features, special aero blades, side skirts and new rear tire diffuser. There are also newly designed front and rear LED lamps.The new McLaren has a mid-mounted engine and its eight cylinders are nearby. It's nirvana for mechanical junkies who can view the wonders of a high-performance engine. And it's show and tell time for all to view with you, the driver, in charge, but only when the McLaren isn't.Superior performance is what you'll experience in the less-than-3,000-pound coupe. The 570S has a 3.8-liter twin-turbo V8 which produces 570 horsepower and operates with a 7-speed automatic transmission. The 0-60 mph standard is accomplished in 2.9 seconds and the standing quarter-mile in 10.7 seconds. The top speed is 204 mph.The new 570S has several other new keen features to experience, including a convenience to actually park in tighter quarters -- if you determine stowing the McLaren in a commercial parking lot is a good thing. The reason: the new McLaren's doors open higher and tighter than its stablemates' doors.Driving the new McLaren on the open road is what it's all about, and there's one more new feature to experience. For the first time, the 570S has three driving modes. The options, of course, only further add to the unique driving experience of McLaren.